Can you 'buy' back a car that has been written off? Retaining a Cat D is extremely foolish. You are being conned by your insurer. Here's why. Imagine the repair costs on your £10000 car are £8500. Your insurer advises you that the car is a Cat D total loss, but you can retain the vehicle for £3000. This means you get £7000, plus your car back unrepaired. But it now has the stigma of being a Cat D. And the market value is around 20 percent less than it would be without. 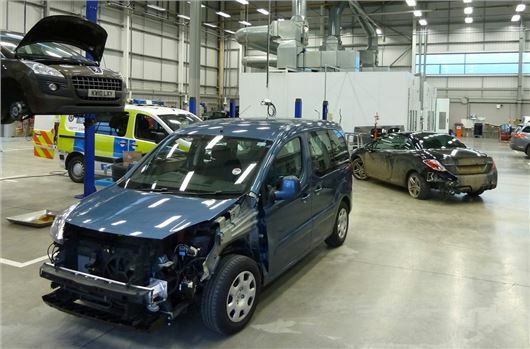 We already know it is going to cost £8500 to repair your car, so even using second hand parts you would struggle to repair for £7000 you received. Once you have spent your £7000 your car is now only worth £8000. Had you asked for a cash in lieu settlement, you would have received the £8500 and still have a vehicle that is not a total loss. In other words you would be at least £2000 better off. Insurers do no like providing a cash settlement at higher figures. They prefer to reduce the risk of fraud and they have the contractual right to offer to repair. You can also insist on the vehicle being repaired. In both situations, your car has been (or should be) repaired to manufacturer standards. So it should stil be worth approximately what it was prior to the accident. This is where the repair costs exceed the market value. So the vehicle when repaired will be worth approximately 20 to 30 percent less than a vehicle without this history. This seriously needs to be considered. >> What is an uninsured loss? If the vehicle has any structural damage, walk away. Unless you are a professional commercial repairer or have access to one, we would not contemplate retaining. The only time it makes sense to retain a Cat C vehicle is if there is cosmetic damage, or when the panels damaged are 'hang on' panels such as front wings, bumpers and doors. >> What's the difference between a Cat C and Cat D write off? This is why it needs to change. At the moment anyone can get their hands on any salvage. As a consequence, a vehicle that has a category loss against it can be on the road but not repaired safely. Insurers need to stop profiteering by selling salvage as "constructive total losses" and repair them correctly. Problem with costs of repairs is that they are too high by so called approved repairers. Quite likely a repair cost of £8500 can be a lot cheaper at a small repairer. I recently damaged my rear bumper and cost would have been in excess of £200 but I had it done for £90. If only we could go back to getting two or three quotes ourselves we would save hugely on insurance costs. I would disagree completely.If you had your rear bumper repaired for £90, it will have been a bumper scuff, and the smart repairer will have carried out a local repair, he will not have painted or lacquered the full bumper. This is a non-compliant repair, as the lacquer, if the whole panel has not been painted it will peel off and react in the future. Insurer approved repairers are the cheapest you will find, they work on volume and work on disproportionately low rates on the basis of guaranteed work. If a repair is "cheaper" is it better? There are a lot of brilliant small repairer's out there, but there are also a lot that do not follow manufacturer's methods to repair your car. The same can also be said with insurer "approved" repairers as they often take short cuts due to the extremely low rates they get paid. If your making a claim on your insurance, make sure "indemnity" is provided, and our vehicle is re-instated to it's pre-accident conditions using manufacturer methods. Repair cost should actually be double what they are,the power of insurance companies contracts have negotiated rates that are not sustainable for the future of the repair industry. There was 20,000 repairers in the UK according to the Association of Bodyshop Professionals 20 years ago, due to these suppressed rates and lack of profit, there are less than 3000 now. When you say "If your making a claim on your insurance, make sure "indemnity" is provided", what do you mean? In lamens terms please. "indemnity" is being put back in the situation you were in (either by way of money or repair)prior to the loss (accident) occurring. It basically means "cover your loss". Is it not better to avoid the car being written off by cancelling your claim? thats what I did - and I had the car repaired for much more reasonable costs using used panels etc. I obtained a fresh MOT and 7 years later the car continues to be a joy to drive. Can someone please advise, I just bought a written off car. It was fully acknowledged but the previous owner had only handed one key to the insurance company/repairer. She is now demanding £150 for the spare key. Any advice? Is she supposed to hand over the spare key to insurance company? Motorclaimguru, whilst i get that, what about if the car is older? This is implying you have a brand new car. To put into perspective..... I have a car worth around £2k. If someone drives lightly into my door (just the door, no other panel or subframe damage), my car is a write-off. The door would almost certainly cost upwards of £1200 for a new one plus a few hundred pounds for a paint job, plus the few hundred pounds labour to get it fitted. Car will be written off. Possibly a Cat S. Alternatively, I can buy the car back for ~£200, go to my local specialist breaker who has an absolutely mint door, windows and so on, for £100. I swap the locks over and have a perhaps slightly different shade (but not very different - it's a £2k car!). And before you say "But how do you know the door is safe? ", many older cars are scrapped because the engine has blown, or a rotten subframe, or all manner of reasons. The door is likely to be as safe as the original 10 year old one. Result? I get to keep my car which I've owned from new, I've done all the mileage on and is reliable. And I've been given £1700 for the upset of having to change a door (fairly easy job) and now having a Cat N which is worth at least 20% less. I dont understand these different categories of "car write offs"
My car ..a 5door hatch back..was hit whilst parked over the weekend, driver didn't stop but witness has come forward with photo record of registration. It has damaged the rear door & rear side panel. My local garage has checked it for safety & said its ok to drive but it's a mess But tyres, brakes, sills etc were fine & would pass MOT. My insurance say it'll probably be uneconomic to repair and have said due to its age, its only worth £400 - it hadn't as yet been inspected by insurance assessors. I've had it from new, its 03 plate, Focus Ghia 1.6 turbo diesel & only got 101,000 on clock. Fully serviced & its had gearbox & timing belt changed. I had a write off category d offered to buy it back but because it was on finance the insurance company paid the finance company £4200 the value to day, as I had no car and my car was category d I offered to buy it back and I was told give us back the £4200 we paid the ifinance and you can have your car back, the customer service I spoke to was giggling and made me so low down when ment I had no rights, they sold the car at auction 3 days later £650, because it was all recorded on the phone I had a phone call from them offering me £500 compensation saying sorry I turned down the money and asked for a car the same as the last one.